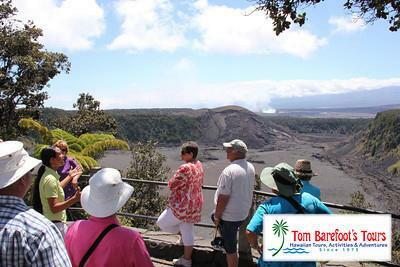 Home > Tom Barefoot's Tours - FAQ's > Can we see the Big Island in one day? Yes we do have one-day circle island tours of the Big Island, but remember that the Big Island is huge. You won't be able to see everything but you will get a great overlook. Be prepared to be in and out of a van however for good twelve-hours from pick-up to return.